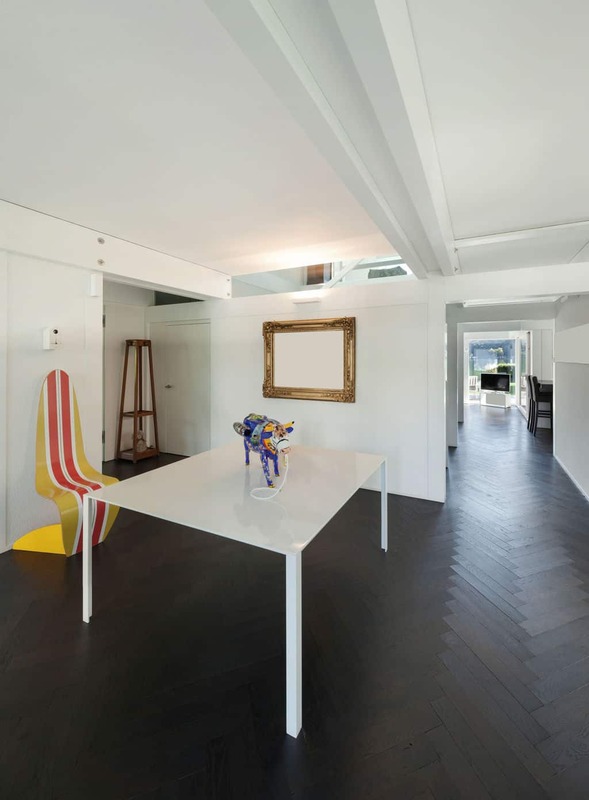 Love the look of black wood flooring, but not sure if it will work with your lifestyle? One quick internet search will reveal the design world has a true love/hate relationship with black hardwood flooring. The look is absolutely gorgeous, but many will say the upkeep is nearly impossible. But is there any truth in these claims? Are dark wood floors really so impossible to keep looking clean and beautiful? 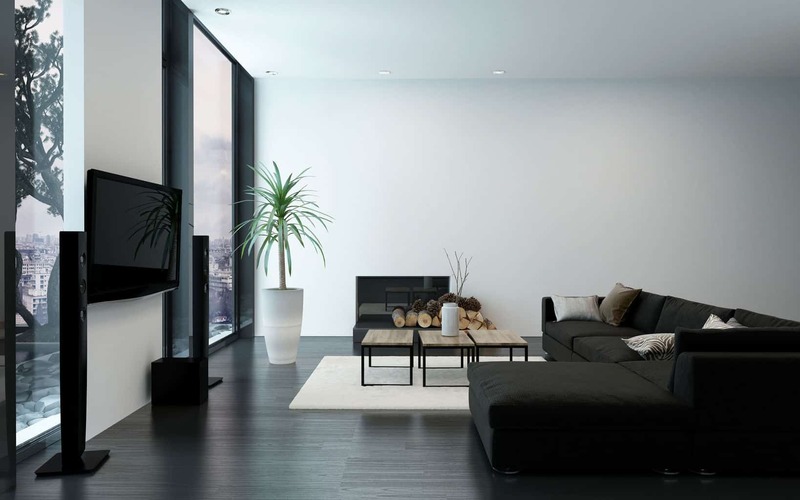 Here are some things to consider before you make the decision on whether to use black hardwood flooring in your home. Make sure to check out our article about best hardwood flooring! Here you can find more colors and ideas. Open up any design magazine or pull up any design blogs, and you are sure to see some gorgeous rooms with black hardwood flooring. It’s easy to see why we are so in love with looking at these rooms. The final look is so elegant and high-end. None of us live in a magazine world, however. Designing your home with black hardwood floors is a bold choice, and there are elements to keep in mind when designing your room to make sure the room doesn’t appear too dark. White is always a good choice when paired with black floors, but it’s certainly not your only choice to pair with black wood floors. Light gray or blue are very on trend wall colors right now, and if you avoid a high gloss and look for a matte paint, your black floors will really shine. Some wood furniture pieces, when paired with black hardwood flooring, can leave your room feeling gloomy. Choose warm stains that are a few shades lighter than your black wood flooring to keep the room light and earthy feeling. Cherry and maple are classic choices that, when paired with black wood flooring, can create a layered, natural feel. If you don’t have an abundance of natural lighting in your home, lamps and well placed recessed lighting can go a long way to brighten your home. 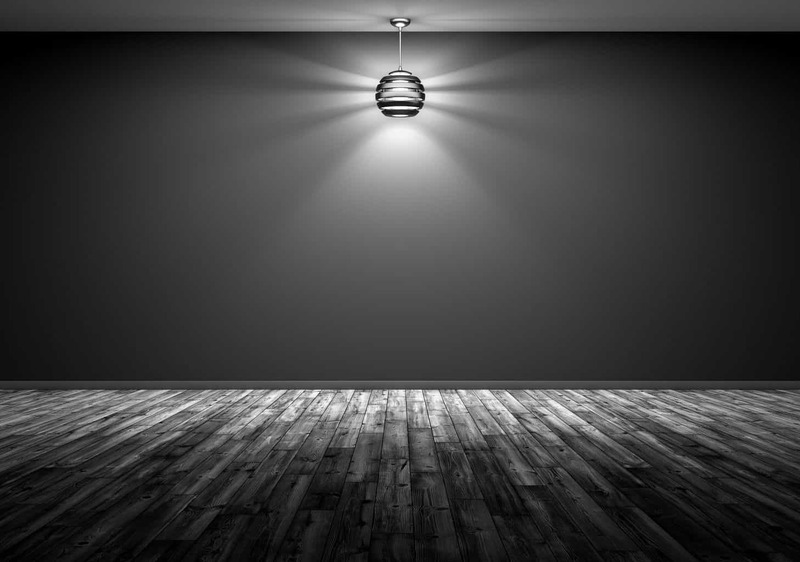 Even with recessed lighting and bright lamps, black hardwood flooring may not be the right choice for your home if you already struggle with the room feeling dark. Trust us, just do it! Nothing will really make your gorgeous black wood flooring pop more than bright white on the trim! The biggest complaint with black wood flooring is that it is difficult to keep clean. So how true is this claim? The short answer is yes, black hardwood flooring will show dust and light pet hair more so than light hardwood flooring. However, there are things you can do to combat this. Reduce the shine: Go for a less shiny finish. The greater the shine, the harder it is to keep the black wood flooring clean and the more scratches will show. Try a tung oil on your black hardwood flooring for a nice, rich finish that wears well over time and doesn’t show footprints. Invest in a robotic vacuum: If you’re worried about dust and light pet hair and afraid that sweeping will take over your life, consider a Roomba or other brand of robotic vacuum. Rugs, rugs, rugs: Place a rug on both sides of all exterior doors to reduce the dirt and mud tracked into your home. Place rugs inside your home for added warmth and to help protect your black hardwood flooring from furniture and heavy traffic. Layering rugs is a good way to add depth and interest to a room. Weather stripping on exterior doors: Make sure your exterior doors have high quality weather stripping. This significantly cuts back on dust and dirt entering your home and will also help save on your heating and air conditioning. If you are on the fence about black hardwood flooring for your home, don’t let naysayers be the reason you choose to not go for this gorgeous flooring option. Black hardwood floors may show light pet hair and dust, but hiding the pet hair and dust on a lighter color floor doesn’t mean that it isn’t there! Additionally, lighter floors will show the darker dirt and pet hair just as much. When styled correctly and taken care of appropriately, black wood flooring can be an amazing focal point in your home.